BLACK AR-008 (Yellow Strip) is a softy designed to be perfect for wearing during daily casual chores. It’s upper is soft Milled showcasing a yellow strip, leather has a great feel with a soft rubber sole. BLACK AR-008 (Red Strip) is a softy designed to be perfect for wearing during daily casual chores. It’s upper is soft Milled showcasing a Red strip, Leather having a great feel with a soft rubber sole. Perpstorm is so easy to be loved, Its triple strapped around your feet to keep it warm and safe at the same time bold enough to show some skin. Perpstorm has a soft rubber sole for good grip and long life. Brown Pepper Upper is beautifully designed to standout in all, Leather upper is carefully sewed in a rubber sole which is way comfortable than stuff available in the market. 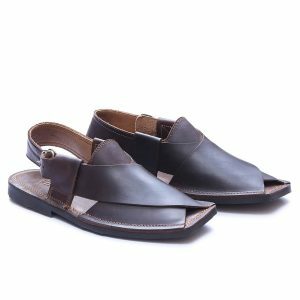 The most demanded Black Charsadda sandals famously called Peshawari chappals have been fashion signature for nearly every Pakistani. Worth having in your wardrobe. Feel warm and soft with Brown Aurlerro, the ultimately soft escape from anything boring, keep the game up with luxury and freedom of calf Leather and the rubber sole for long. Modernity is always our priority. Presenting Black Chilian, a spring friendly color of burgundy on the top combined with black leather sole makes it a vivid choice of slippers among the others. So follow in the footsteps of KINGS OF COOL! Modernity is always our priority. Presenting Maroon Chilian, a spring friendly color of burgundy on the top combined with black leather sole makes it a vivid choice of slippers among the others. So follow in the footsteps of KINGS OF COOL! Red Galuwan is Simple, easy and the most comfortable slippers of the season. The shinny black Leather is all around with 2 adjustable Straps, PU sole Ensures Luxury. 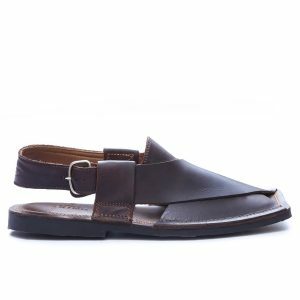 The most demanded ESPRESSO Charsadda sandals famously called Peshawari chappals have been fashion signature for nearly every Pakistani. Worth having in your wardrobe. Special ESPRESSO Nubuck Leather Gives it comfort which is above all.